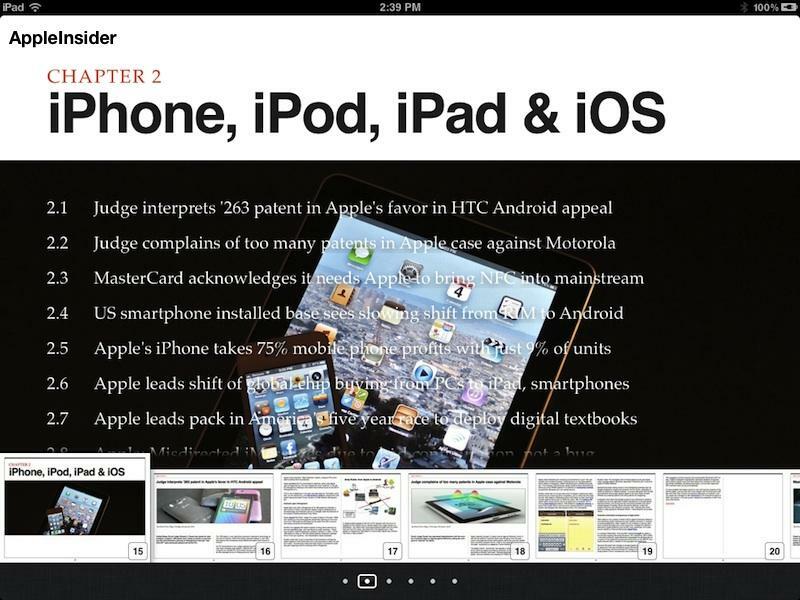 The free iBook, created using the new iBooks Author, requires iBooks 2 on iPad. 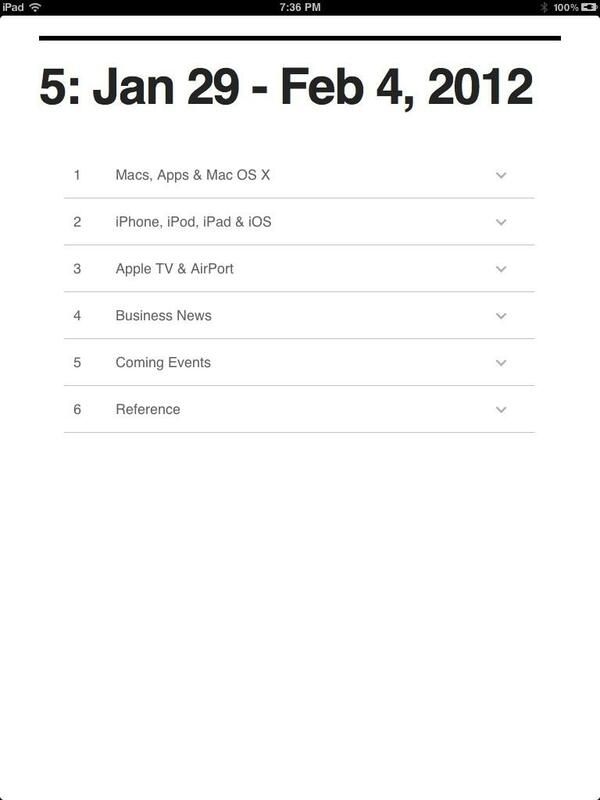 Simply download and drag this .ibooks document to iTunes and it will sync to your iPad within the iBooks app when you sync it. 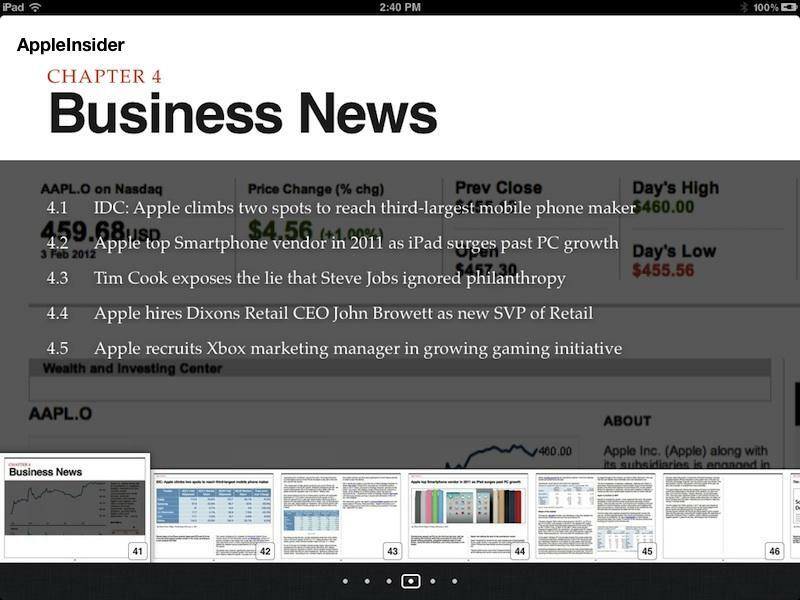 Peruse our initial weekly edition (with limited interactivity) and catch up on the week's biggest stories, organized by subject. 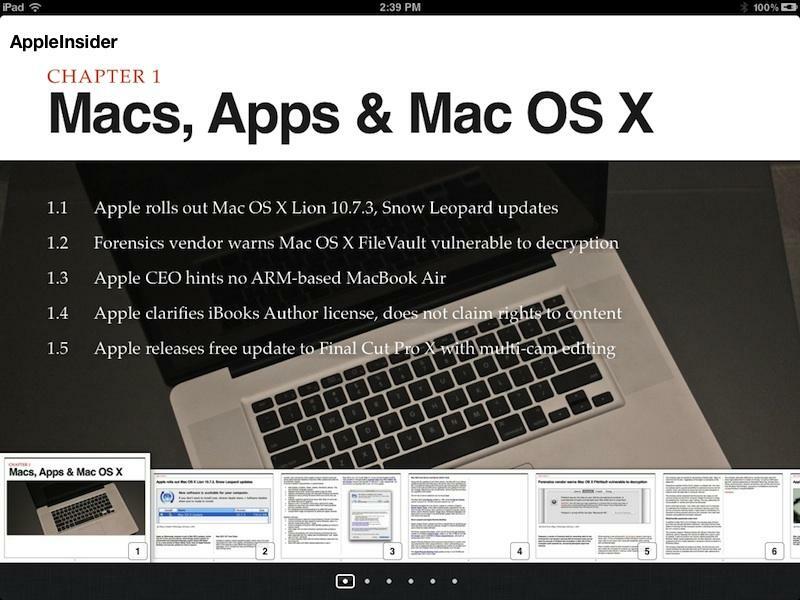 You can read the work-in-progress iBook in either the standard landscape orientation (above) or in its text-optimized portrait view (shown below). 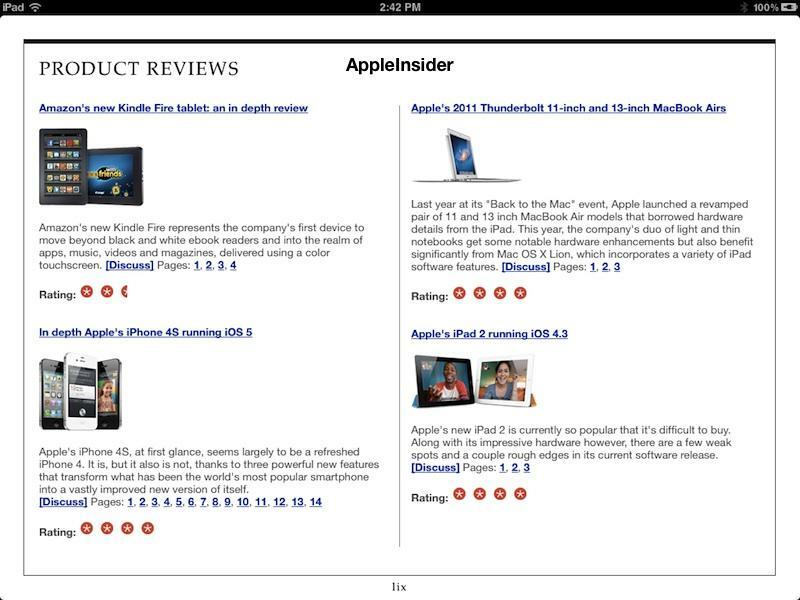 There's reference section with links to our social network pages, story and tips submission pages, and a listing of our recent product reviews. 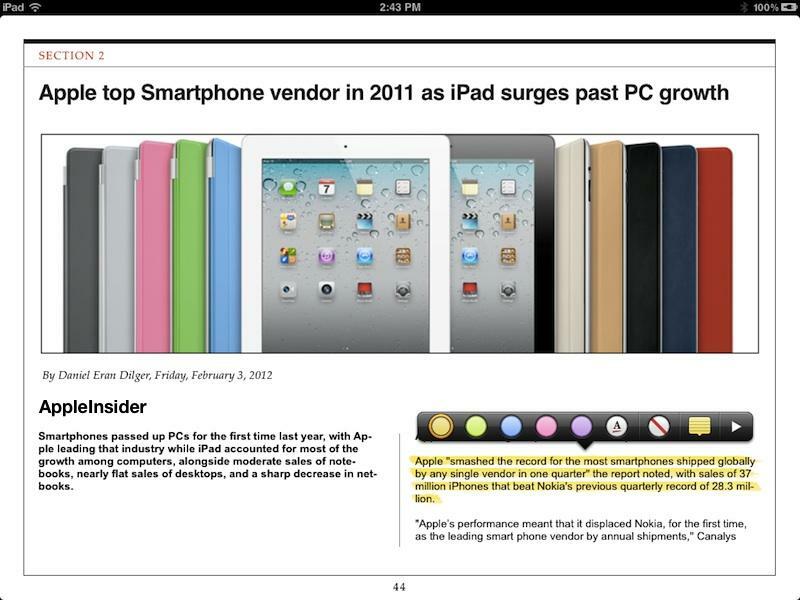 As with any iBook, you can highlight notes and search for terms. 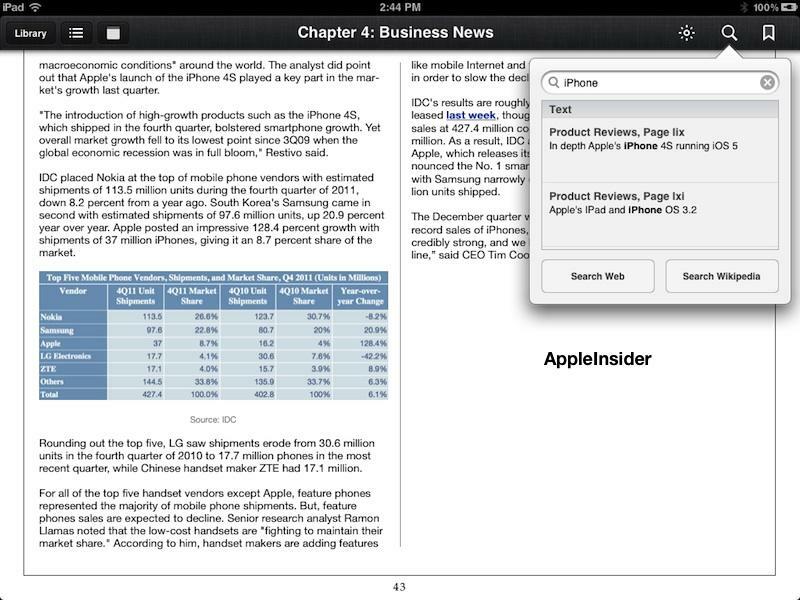 Familiarize yourself with how dynamic new iBooks work, and with our content working to take advantage of some of these features, as hopefully both continue to gain new features. 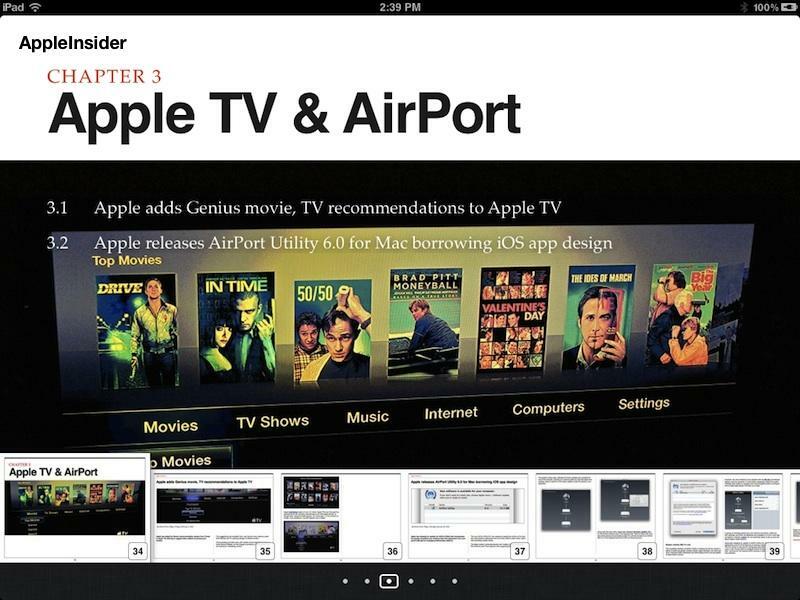 You can also follow us on Twitter: @appleinsider and @DanielEran.